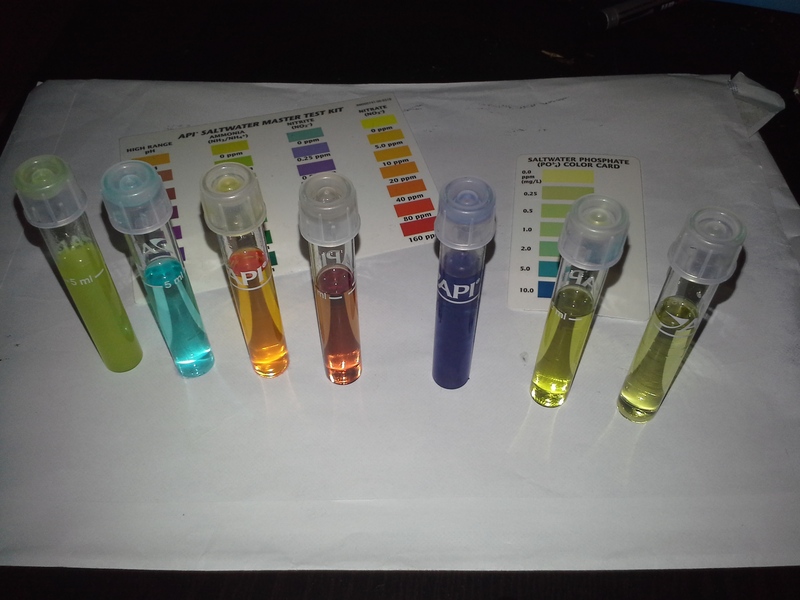 Thought it was time to upgrade the water testing so I ordered another API marine test kit that can do Calcium, KH and Phosphates. 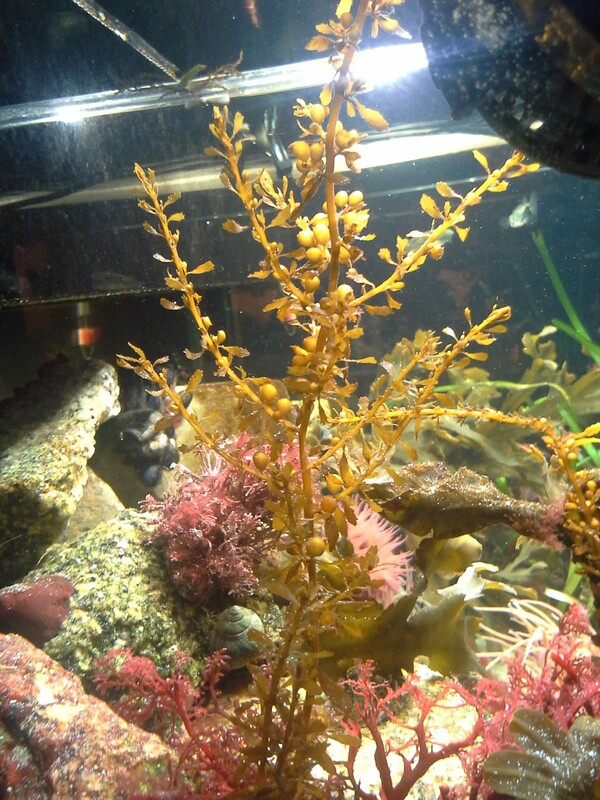 Something I havent seen before is that the common blenny and 3 spined sticklebacks are feeding on the hairalgea that grows on the seaweeds. The places where the hairalgae grows around the snakelocks or still untouched for obvious reasons. Although one of the three spined stickles has ended in the coloured arms of one of the snakelocks. The new branch weed from the previous post is (unfortunately) just the ordinary Rainbow Wrack rather than the Bushy one I hoped. However its growing really fast which makes me happy 🙂 Also the old Rainbow Wrack is starting new shoots, could it to be the time of the year? Here a few shots. The Wireweeed is growing really well and fast as expected. I hope to find more of this to help reduce the nitrates. Not so sure if the liverock is actually actively removing nitrates or just keeping it from rising. I know that the bacteria needs a lot longer to settle and grow in temperate temperatures so I will keep my fingers crossed in patience as it wasnt cheap. I found some more beautiful seaweeds on the last outing to try if they grow. Not 100% sure on IDs. I am really wondering what the “things” in the last two pictures are. None of my books cover anything slightly resembling it. Maybe some kind of eggmass? For all those of you readers that like pictures I have good news. I am looking into getting a beginner DSLR to make nicer more satisfying pictures as the phone picture quality is starting to annoy me a lot. Almost impossible to shoot certain areas in the tank due to the camera not being able to deal with light conditions and lack of zoom.